Jumeirah Mina A' Salam, which translates as ‘Harbour of Peace’, is the gateway to the Madinat Jumeirah complex. Winding waterways and walkways guide you through the grounds where a world of dining and leisure facilities await – perfect for families. Part of the Madinat Jumeirah Resort complex on Jumeirah Beach, 30 minutes from the airport. Recently refurbished, each of the elegant rooms are adorned with antique furnishings, dark woods and flashes of purple. Arabian Deluxe Rooms have spacious balconies overlooking Jumeirah Al Naseem or the ocean. Arabian Gulf Suites have access to the Premium Leisure Lounge which includes daily breakfast, airport transfers, daily refreshments, pre-dinner drinks and canapés. 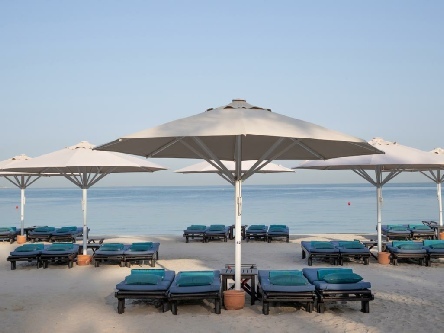 By day, the warm golden sands of the private beach tempt you with relaxing sun loungers and a cool sea breeze. Lie back while delicious snacks and drinks are ordered and served without you having to move. In the evening choose from an array of international cuisines such as Mediterranean, Chinese and Arabic. 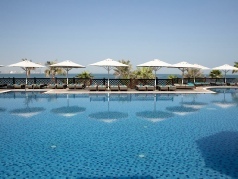 The hotel has a private beach, fitness centre, 5 tennis courts, 2 squash courts, rock climbing, theatre, golf*, Talise Spa and free unlimited access to Wild Wadi Waterpark. There is a kids' club and a daily shuttle service to Mall of the Emirates and Ski Dubai. 2019 package holidays to the Madinat Jumeirah Mina a Salam Dubai Prices are per person based on two sharing.